Hey Lovelies! How was your Monday? I hope it was a happy one and not a gloomy one. Mine was like a roller coaster ride, but I've finally got time to relax a little and blog. 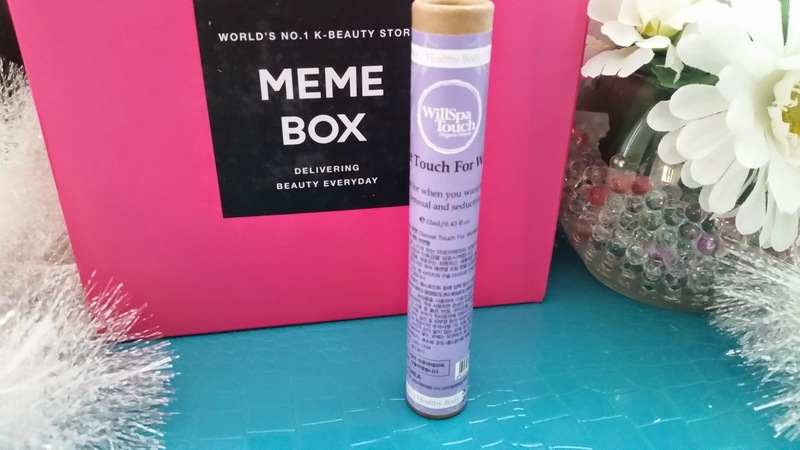 Today, I've got a Memebox unboxing and review for you all and I am most excited about it. My mom got me this Cleopatra Memebox as well as the Wonder Woman box, the Empress's Secrets and the Green Food Cosmetics for Christmas! Four boxes in total, how awesome is that? What's even more amazing is that these are boxes that I, myself, did not order, so no repeats! 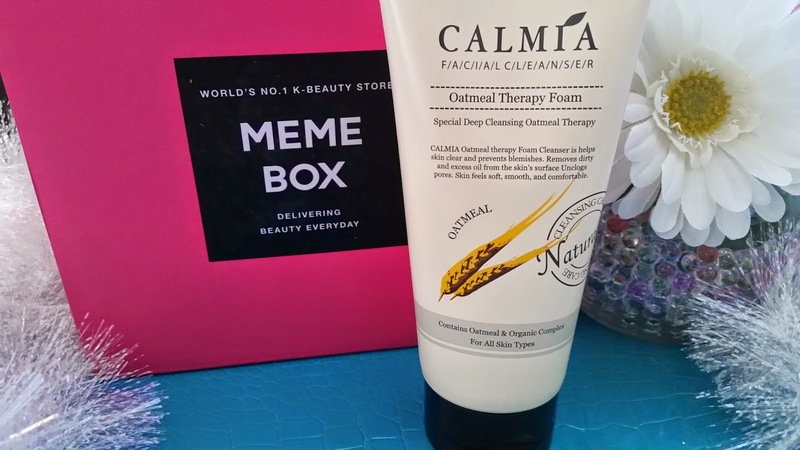 Memebox is a Korean beauty box company that sells non-subscription boxes. More information here. Anyways, enough chit chats and let's dig in to get to know all the products! A liquid bubble soap enriched with pure rose water (75%), an ingredient Cleopatra is known to have used in her daily bath routines. It can provide hydration, nutrition and soothing relief to the skin while clarifying it. This is an all in one product, which means it can be used as body wash, facial foam, cleanser, shampoo, and bubble bath. The product contains Vitamin C and Vitamin A. This product actually leaked, which explained why the box smelled like soap when I opened it. It wasn't a bad leak but enough that the majority of its packaging was soaked, it was wet to the touch. My hands also smelled like soap after. I like the pump on this bottle, it foams up the liquid soap as it comes out. I think I will try this out as a body wash and if I don't like it I'll use it as hand soap. However, this product is rather expansive for $29, most body wash are like $12 max. So this better one heck of an awesome body wash or it would not be worth it. Will report back! Formulated with 100% natural essential oils, this roll-on aroma therapy oil blend is perfect for relieving stress. It contains a mixture of frankincense oil, bergamot oil, ylang ylang oil, rose geranium oil, rose absolute oil, lavender oil, jojoba oil, and patchouli oil. This roll-on oil can also be used as a refresher during an exhausting day, simply roll it over wrists or neck and allow the scent to relieve stress. Cleopatra used essential oils in her days to keep herself beautiful from head to toe. She used them for her sultry and silky hair, for brightening and moisturizing her skin, for anti-aging, for facials, and for baths and scrubs. This roll-on, however, only sounds like it's to help release stress and nothing else. I haven't opened this product yet because it smells quite herbal like with its outer package on and I'm afraid I might not like it. However, maybe I'll experiment with it to see how I'll like it or not. 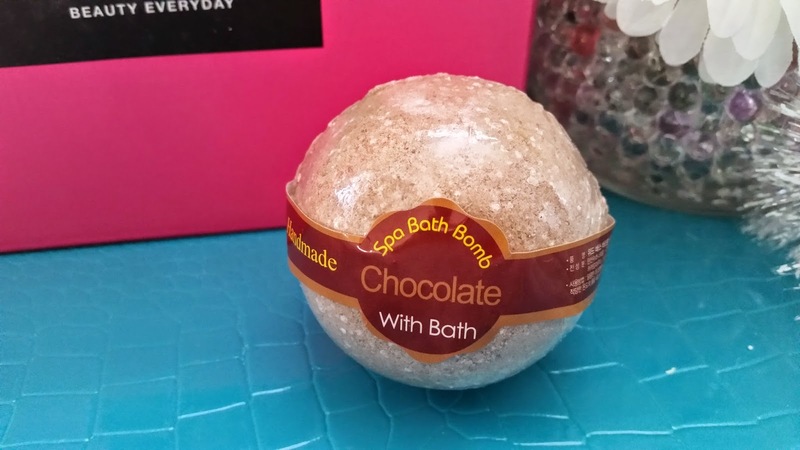 A chocolate scented bath bomb formulated with skin nourishing ingredients. It's 100% hand made. 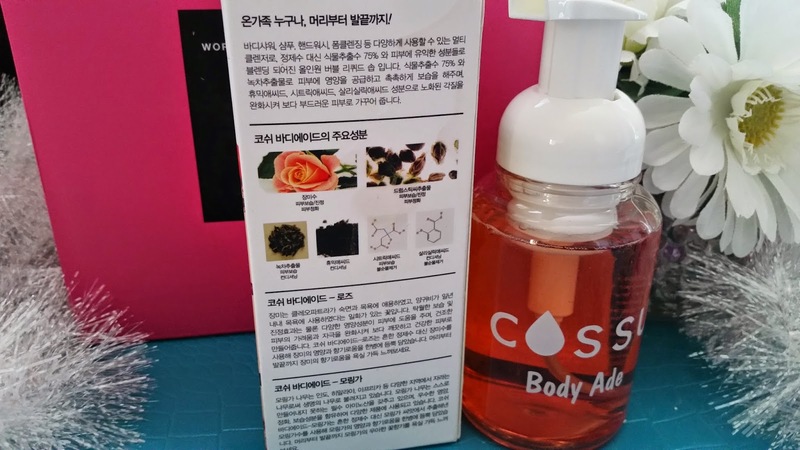 It can soothe and nourish the skin as well as moisturize it. To use, drop the bath bomb int a tub of water and let is bubble up to desired amount. While Cleopatra didn't really use chocolates during her days, we've all come to know of the benefits chocolates have for the skin. Although, $42 for a small chocolate bath bomb?!? Are you kidding me Memebox. Do you know how many boxes of yummy chocolates I can buy with that price and indulge myself with? Especially since I recently found my favorite dark chocolate caramel in my December Love with Food box. Speaking of those, I need to go order more. Okay, back to the bath bomb, I shall try it during my monthly SSD (Self Spa Day) and decide how I'll feel about it then. Formulated with nourishing oatmeal extracts and a herbal blend of portulaca, lavender, rosemary, chamomile, basil, and houttuynia cordata. It deep cleanses the skin and soften any rough skin texture, it can also renew dry and damaged skin as well. This cleanser will effectively cleanse away excess oil, dirt, and impurities on the skin. Believe it or not, I'm really excited to try this cleanser. When my acne was at it's worst, I used a DIY oatmeal cleanser and it really worked to tone it down. So, I'm excited to see how well this cleanser will work since my acne has recently returned and I'm working out ways to combat it. Plus, the Queen of beauty herself used oatmeal to cleanse her skin because of the amazing benefits. Oatmeal is also not harsh at all on the skin as compared to some other modern cleansers. Goat milk is one of Cleopatra's most prized skincare secrets, not only did she drink goat milk, she also regularly bathed in it. 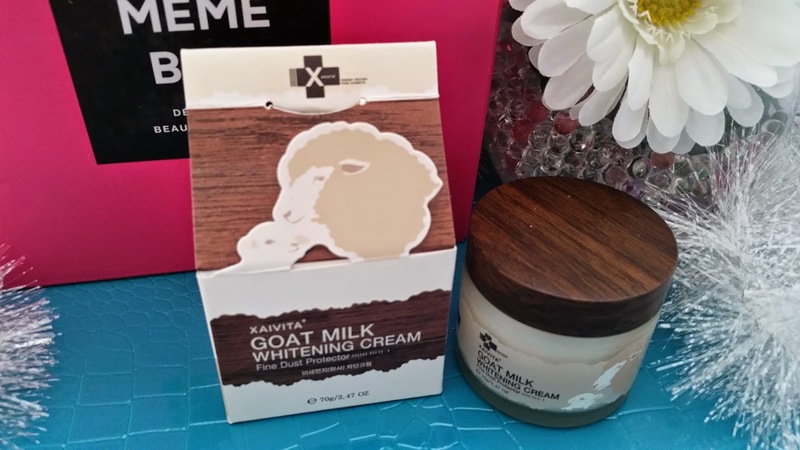 This cream is enrichd with over 10,000ppm of real goat milk to help moisturize and nourish the skin. This gentle formula contains vitamins A, B, and E, as well as lactic acid. Once applied, it will create a protective moisture barrier to prevent potential damages to the skin. Man this cream is 1g a dollar, that's not cheap. However, it does sound very promising, plus it's not everyday you come across a goat milk skin care product, or at least I don't. I love the packaging, with the 2 sheep, it's adorable and the wooden cap on the product looks rustic and modern. I'm excited for it. This box only had 5 items in it but it seems like a good box. Out of the 5 products, I'm excited for 2 of them, and will be happy to try out the other 3. There were no products in the box that I did not like, just a couple that seemed a bit too over priced. 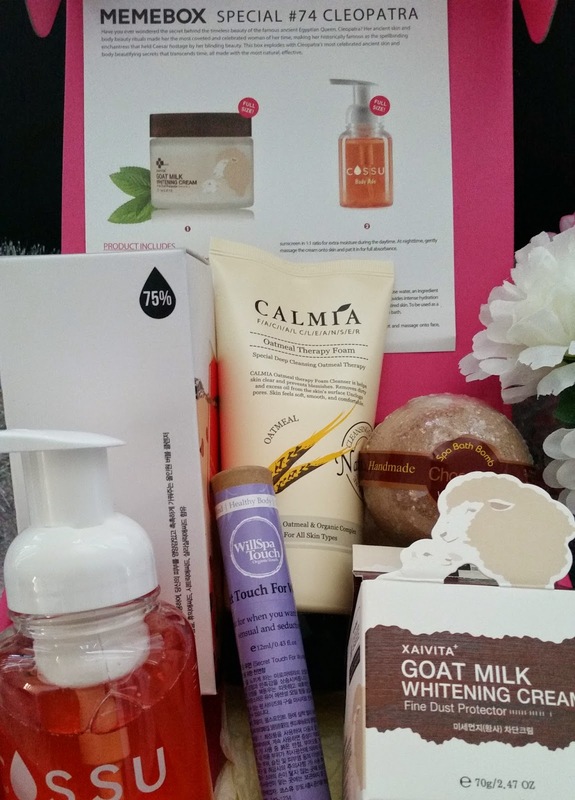 While there are plenty of other things Cleopatra used to keep her skin beautiful but were not included in this box, I am still happy with the ones are I got. Overall, this is an okay box, it's not super duper exciting but still rather nice. Disclosure: The products were gifted to me by my mom and all the opinions are honest and my own.